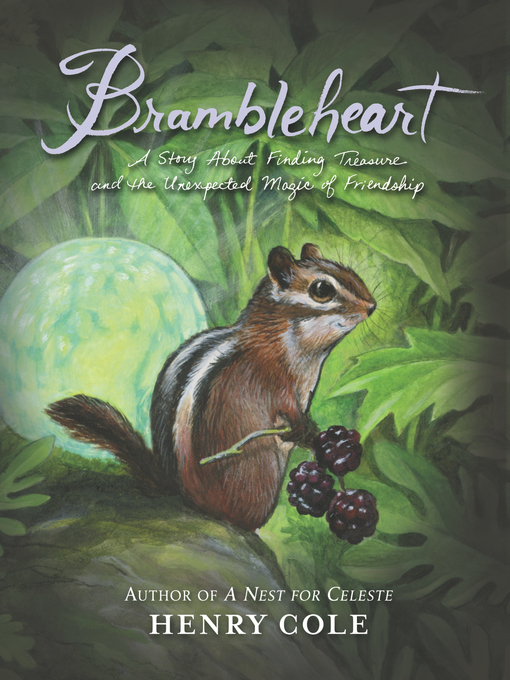 From the beloved illustrator and author of A Nest for Celeste comes Brambleheart, a beautiful tale about nature, imagination, and how love is the greatest thing we build. With stunning black-and-white artwork, Henry Cole's animal fantasy adventure harkens back to Brian Jacques's Redwall and Avi's Poppy series. In the Hill, animals work as Weavers, Smelters, and Carvers—but Twig doesn't know who he wants to be. He tries very hard in all his classes, but his imagination wanders to his favorite books or the delicious mayapples growing beyond the scavenge yard . . . and then he loses his focus. After Twig makes a big mistake in front of everyone, he sets out on a secret journey to discover himself. But as he wanders deeper into the Yard than he's ever wandered before, Twig finds a curious colored globe. A dragon's egg—which hatches in front of his eyes.